The final policy--which is expected to be signed by Secretary Salazar later this year--designates nearly 30,000 square miles of desert habitat as suitable for industrial-scale solar energy development. About 445 square miles will be designated as "solar energy zones," where companies will be encouraged (but not required) to build their facilities. Some national environmental groups initially supported a policy that would only allow energy companies to build in the proposed solar zones, minimizing potential with conservation efforts outside of the zones. It became apparent last year that Interior was more interested in giving public lands away to industry under an alternative known as the Solar Energy Development Program, so environmental groups began to pretend that this was also their preferred alternative. "the agency's Preferred Alternative, goes much farther by opening up an additional 21 million acres outside those zones that have yet to be studied for potential resource conflicts. Conservation groups disagreed with the choice of the Preferred Alternative, and argued neither alternative offered the certainty that the groups, solar developers, and the agency itself needs to move forward on a smart path." The one aspect of the solar policy that some groups might claim to be a victory for wildlife is actually a glossy sheen added at the last minute that will only be as good as the political will of environmental stewards in the BLM and US Fish and Wildlife Service. A proposal to exclude solar energy development from critical desert tortoise connectivity areas was added late last year, but the proposal appears to have been significantly weakened by industry lobbying, and now only amounts to words of discouragement from the US Fish and Wildlife Service that developers can ignore. 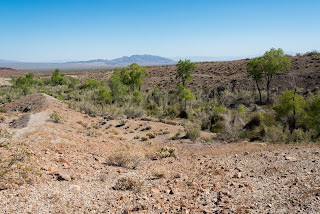 Interior initially designated desert tortoise connectivity areas that are assessed to be essential to the recovery and survivability of this Federally listed species, where solar energy development would be strictly controlled or excluded. 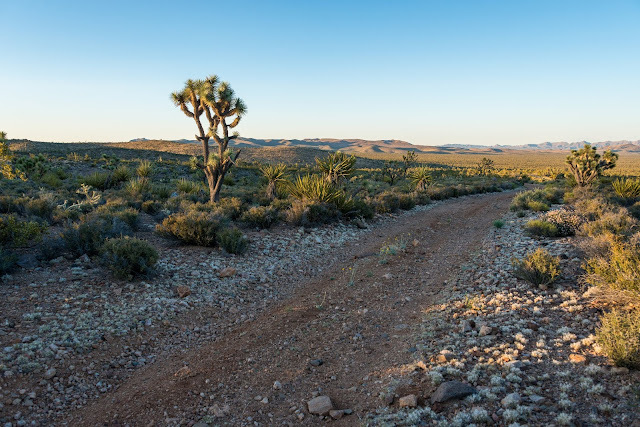 The draft exclusion policy would have kept projects off of desert habitat where the desert tortoise population exceeded 2 per square mile in the connectivity area. Another land designation known as "variance" areas would have required companies to maintain a wildlife corridor at least 3 miles in width and prohibited projects that would require the translocation of more than 35 adult tortoises. These requirements have been eliminated from the final policy, and replaced with vague references to protecting wildlife corridors that will ultimately give companies the discretion to override scientific concerns, unless wildlife officials are willing to say no to the companies. Because of political pressure from Washington, however, local land management and wildlife officials have been under pressure to fast-track and approve most projects. The tortoise connectivity corridors are still referenced in the policy, but only to show companies where they are discouraged from building. 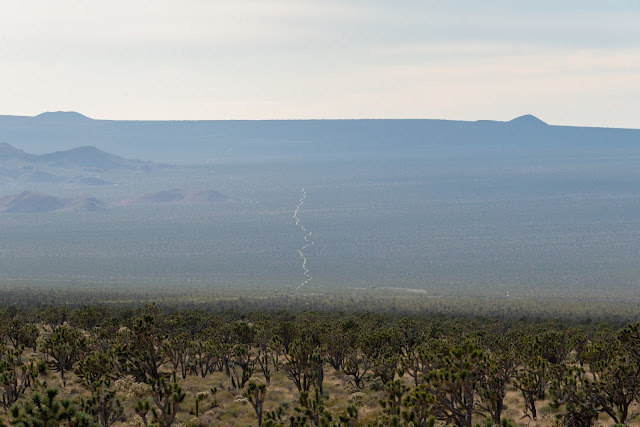 Perhaps not surprisingly, a vast swath of tortoise connectivity designation was abandoned in a region of the Mojave Desert along the California-Nevada border where BrightSource Energy is proposing to build two massive solar projects -- Hidden Hills and Sandy Valley solar projects. The only real requirement that remains in the wildlife protection aspect of the policy is that developers have to meet with Department of Interior, and possibly listen to words of discouragement before they continue with their application. It's unfortunate when the words of our supposed environmental guardians become hollow and pointless. These groups have already shown a willingness to abandon the principles of sustainability and environmental protections for yet another darling industry that will save us from climate change. It was not long ago that the Sierra Club' Michael Brune said that natural gas will “play a necessary role in helping us reach the clean energy future our children deserve.” Yes, the same industry the Sierra Club now opposes, recognizing that it too has no regard for our wild places. I can only hope that these environmental groups will eventually find a moral compass and gather the fortitude to recognize that applauding industrial destruction of wildlands is a far cry from the vision of the environmental movement's early leaders. Climate change poses an immediate threat to our wildlands. But just as we do not wish to sacrifice our civil liberties to every national security threat, neither should we rush to abandon our conservation ethic in our battle against the fossil fuels industry. It may be "heavy lifting" for a country that cannot resist the "luxury" of ignorance when it comes to our impact on natural resources, but it's time to wake up to the reality that our wildlands are disappearing -- damaged by climate change and finished off by a myriad of other human demands. It's time to advocate for clean energy that is actually consistent with our principles and sustainability: distributed generation, such as rooftop solar, facilities on already-disturbed lands, and energy efficiency programs. Incredible if painful overview of the truth of the matter, which some of us have known all along....thanks, Mojave Desert Blog, for writing and posting this....keep up the great work! Right on the money. And follow the money. My guess is money is flowing from the industrialists to these so called conservation groups, hence their support for this new policy. The conservation groups no doubt are providing the fig leaf of legitimacy to the renewable energy developers plans to bulldoze the desert wilderness, and Washington is playing along also, along with state and local governments- got to bring green jobs to the local community! Of course the irony is only a few long term jobs will be created, few going to locals, and the community will have to live with the permanent long term environmental consequences. All of which could have been prevented if rooftop solar and wise siting had been the policy from the get go. Well said Shawn, you're an amazing source of clarity during this heartbreaking and unnecessary sacrifice of our beloved deserts.